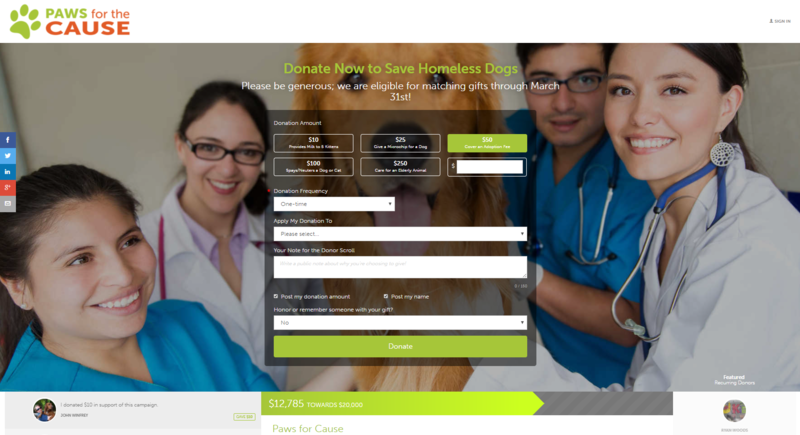 Get help building a beautiful online donation page for your website! An Everyday Giving Page is what we call our most basic basic online donation page. It can be used for time-sensitive campaigns, or for your main donation homepage. 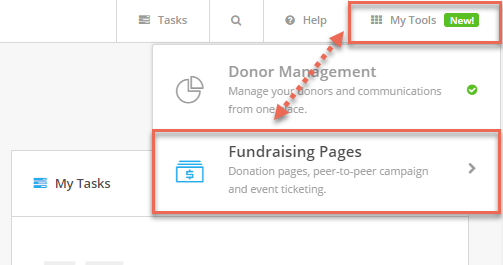 Access your Fundraising Pages account by clicking My Tools > Fundraising Pages in your Donor Management system. 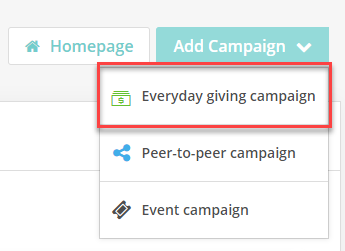 Click Add Campaign then Everyday giving campaign and follow the step-by-step instructions! The whole process should only take about 30 minutes (no web design experience necessary). If you need extra help, we recommend registering for one of our live, weekly training webinars. Still have questions? Send an email to success@networkforgood.com to get personalized help from one of our Customer Success Specialists! After you've built you page, check out this helpful article that explains how to connect the page to your website.